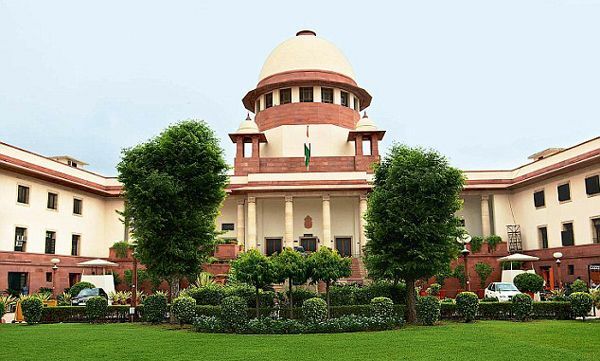 A Supreme Court bench hearing a plea to ban the Muslim Personal Law practice of divorce by triple talaaq on Monday asked the Centre to place before it a 2015 government committee report that is believed to have recommended a ban on triple talaaq and polygamy. The bench comprising Chief Justice TS Thakur and Justice UU Lalit also sought the Centre's response to the petitioner's request to ban triple talaaq and polygamy as "unconstitutional". Several individuals, as well as the Muslim personal law board and the National Commission for Women have been asked to present their views on the topic before the court. The petition was filed by Shayara Bano, a Muslim woman from Uttarakhand, who had been divorced by triple talaaq in October 2015, according to The Telegraph. The report sought by the Supreme Court is titled "Women and the law: An assessment of family laws with focus on laws relating to marriage, divorce, custody, inheritance and succession". It had been submitted to the women's ministry but is not available in the public domain. The report had recommended a ban on triple talaaq and polygamy. Shayara Bano's petition had challenged triple talaaq and polygamy as unconstitutional and violative of the fundamental rights to equality, liberty and freedom of religion guaranteed under the Constitution. It contended that these practices needed to be quashed "to provide a life of dignity to Muslim women", citing several Islamic texts, scholars and historians to prove that the practices are not sanctioned by the Quran and are not practised in some Islamic countries. Bano said in her petition that today, Muslim women were being divorced through Facebook, Skype and text messages. On 29 February, the court had sought the Centre's response to this petition.